Kunsthal Charlottenborg is launching its BIKE ART TOUR – a new, curated bike route that takes you to ten public works of art created by contemporary artists such as BIG & SUPERFLEX, Eva Koch and John Kørner. 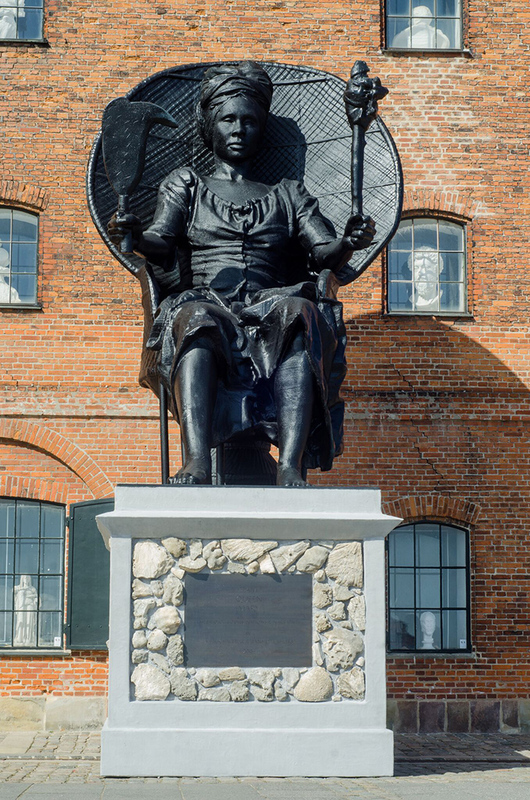 The objective is to highlight leading examples of Danish contemporary art to all those who occupy and visit Copenhagen – locals and tourists alike. → BIKE ART TOUR can be downloaded for free here. 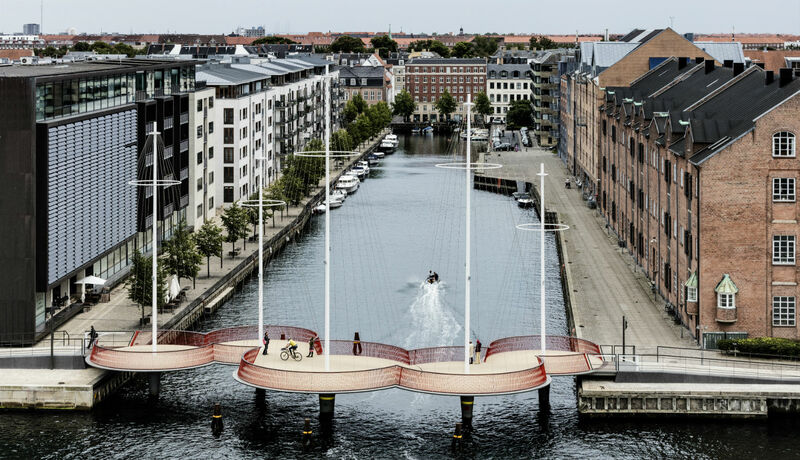 Copenhagen is known as the most bike-friendly city in the world – and as a famous showcase for Danish architecture and design, attracting tourists from across the globe. However, fewer people realise just how many impressive works of art there are in public places throughout the capital; even the blue bicycle paths were envisioned by an artist, specifically Suste Bonnén. 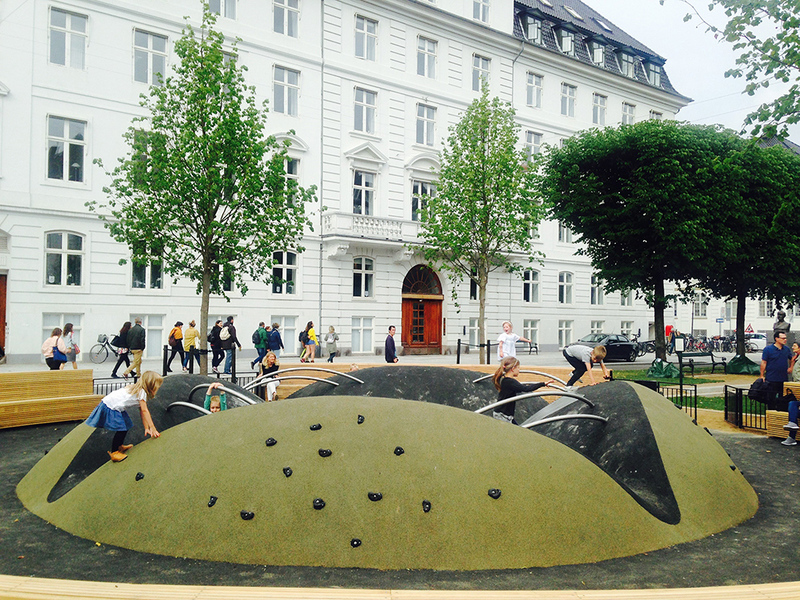 Kunsthal Charlottenborg is keen to celebrate the art found in public spaces. This is why the art venue now launches the BIKE ART TOUR, encouraging everyone to take in ten important art experiences in various locations in Copenhagen. On the bike tour, visitors can explore new and older works alike, encompassing everything from a playground to a memorial. The works of art selected were created by internationally acclaimed Danish contemporary artists: Eva Koch, Jeanette Ehlers & La Vaughn Belle, Finn Reinbothe, Olafur Eliasson, Kirstine Roepstorff, Paul Tempels, John Kørner, BIG & SUPERFLEX, FOS & Balfelt, and Poul Gernes. Eva Koch, Sankt Annæ Wheel (2016). Sankt Annæ Plads. Jeanette Ehlers & La Vaughn Belle, I Am Queen Mary (2018). West India Warehouse, Larsens Plads. Finn Reinbothe, Monument to Denmark’s International Effort after 1948 (2011). The Citadel. Olafur Eliasson, Cirkelbroen (2015). Cirkelbroen, Johan Semps Gade. Kirstine Roepstorff, Klangfrø (2014). University of Copenhagen, Njalsgade 120, B22. Paul Tempels, Christiania’s Flag (1971). Fristaden Christiania. 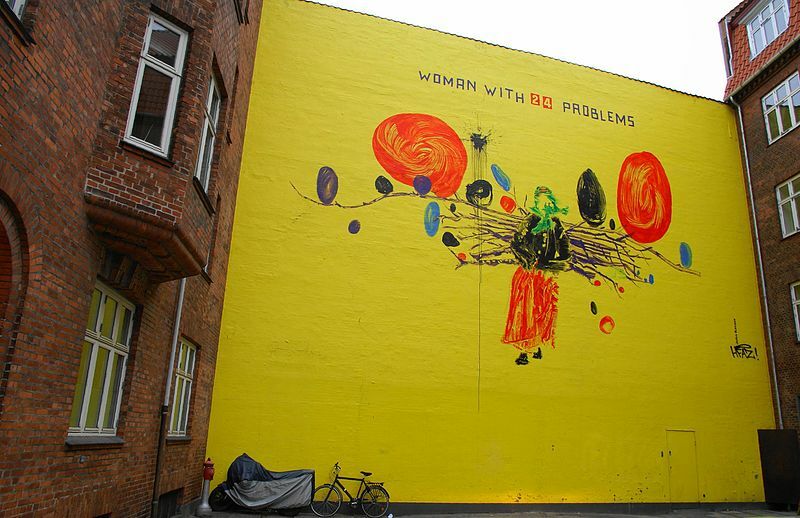 John Kørner, Woman with 24 problems (2004). Blekingegade, Amagerbro Station. BIG & SUPERFLEX, Superkilen (2012). Nørrebrogade 210. FOS & Balfelt, Mændenes Hjem (2006). Lille Istedgade 2. Poul Gernes, Palads Teatret (1989). Axeltorv.